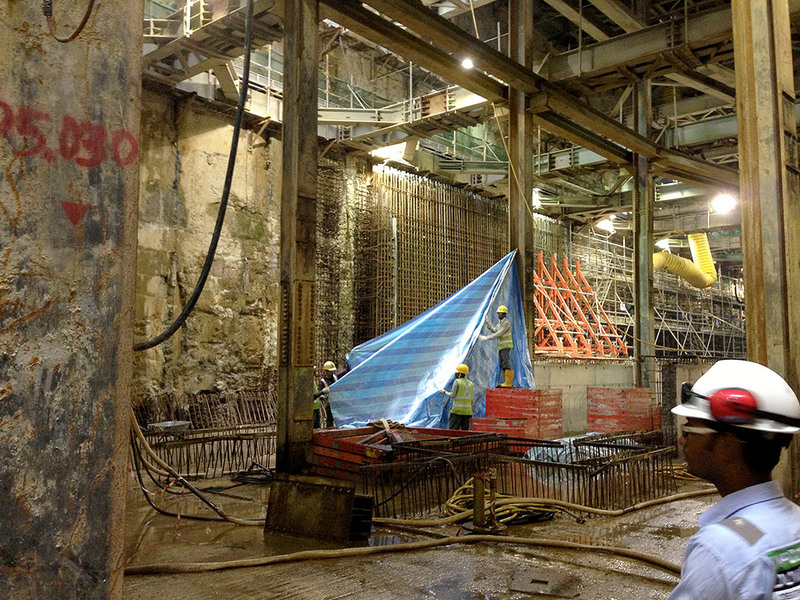 An Aquajet Hydrodemolition robot has helped a replacement contractor regain lost ground on Singapore MRT contract. 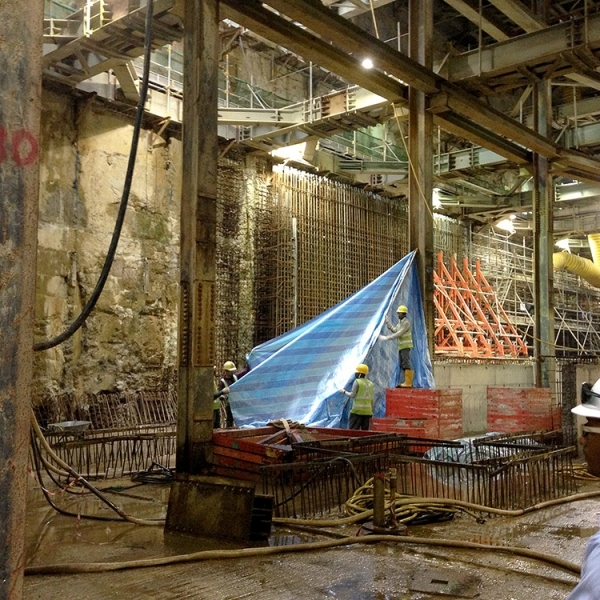 Hydrodemolition technology has achieved a huge boost in Singapore through the use of an Aquajet Hydrodemolition robot used on part of the island’s new MRT Downtown Line, helping to recoup lost time after the original contractor went bancrupt and had to be replaced. 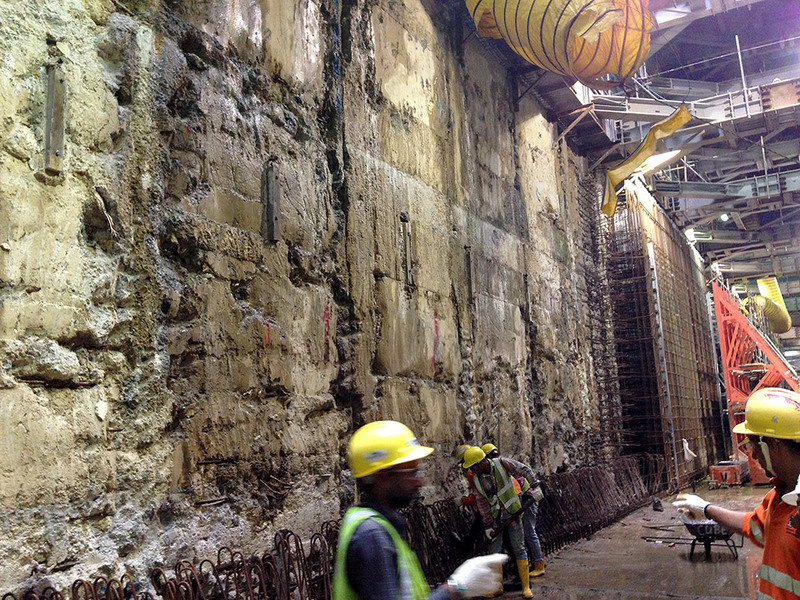 The use of Hydrodemolition technology seems likely to increase in Singapore in future, following government policy to improve productivity and therefore reduce reliance upon foreign labour. Hydrodemolition robots are amongst the categories of construction equipment that are now eligible for government grants that cover productivity and environmental concerns. “In Singapore there is now a genuine case for advanced concrete removal technology,” said Patrick Lee, Regional Sales Manager for Asia Waterjet Equipment, the Asia distributor for Aquajet Systems AB of Sweden. 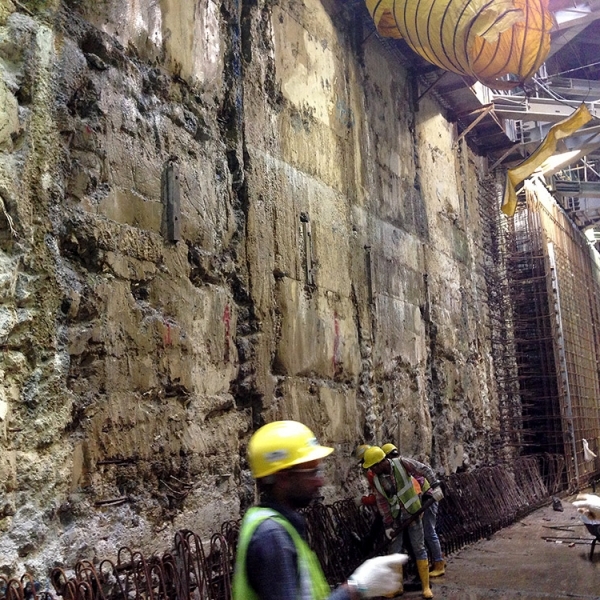 Mr Lee says the problems that developed on Singapore’s Downtown Line, and the ways in which they have been resolved, have helped enhance the image of hydrodemolition technology. The Land Transport Authority in September 2009 had awarded the Austrian contractor Alpine Bau two contracts on the Downtown Line Stage 2, C917 and C918. Contract C917 was for construction of King Albert Park and Sixth Avenue stations and the parallel twin running tunnels between them, while C918 was for the running tunnels out of Tan Kah Kee Station. 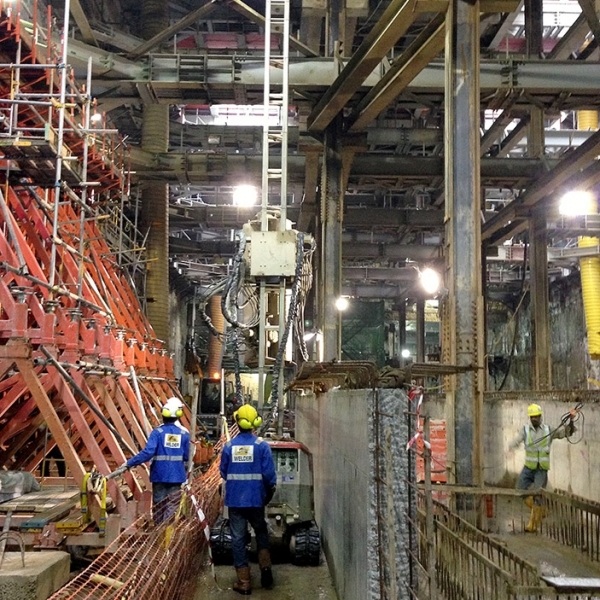 Alpine had purchased an Aquajet 710A Robot for ‘removal of large areas of concrete, an operation that would have conventionally used jackhammer operators – but the size of the surface to be cleaned, and the timescale, would have required a large force of contract workers. Alpine however had gone bankrupt in the middle of 2013, causing work on the two contracts to come to a near standstill, and consequently delaying the opening of the line. The LTA put the work out to tender again. Australian contractor McConnell Dowell won the C917 contract, now renamed C917A. Picking up where Alpine left off, and needing to work to even higher productivity to recoup as much time as possible, McConnell Dowell purchased an Aquajet AquaCutter 710V Classic from AWE, along with other water cutter equipment. “McConnell Dowell had to run the machine very hard to catch with the schedule,” says Patrick Lee. “Towards the middle of 2014 they were running the machine on 24-hour shifts compared with the average 14-hour days for other MRT works. 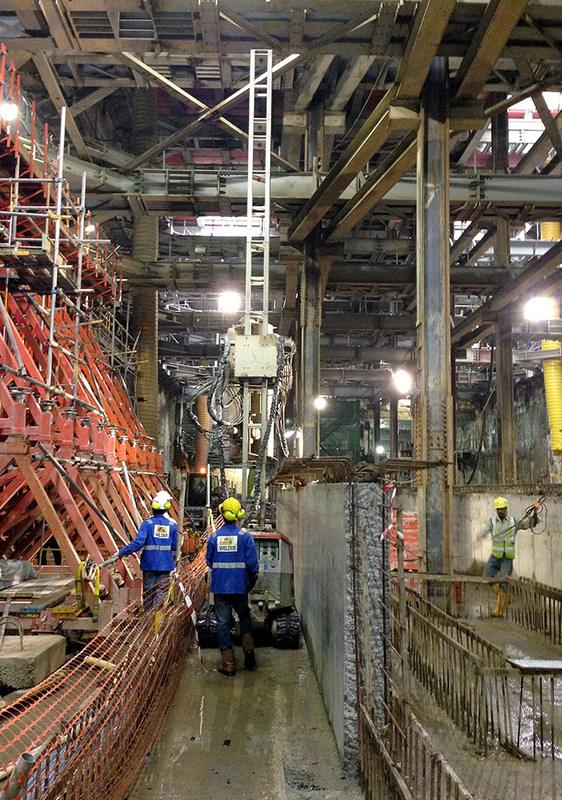 “The contractor was achieving outstandingly impressive productivity, because he was removing concrete on average 250 m² per day. 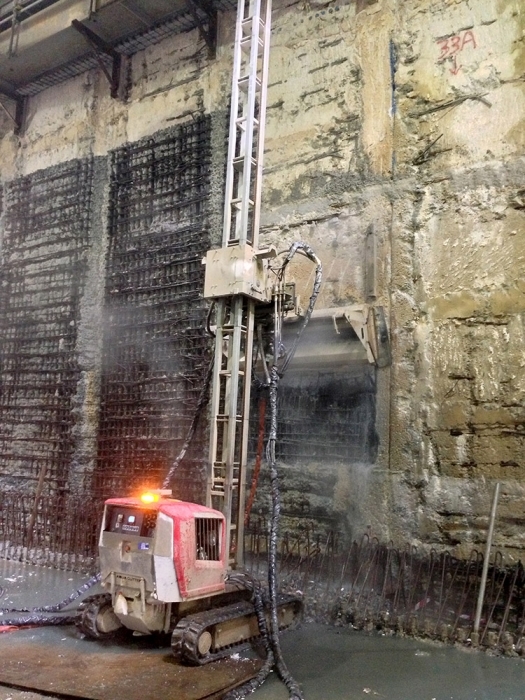 “The degree of control possible with the Aqua cutter meant that the delicate process of removing concrete without damage to the rebar could be controlled to a very fine limit,” said Patrick Lee. He also sees Aquajet’s hydrodemolition technology spreading beyond Singapore to other parts of Asia. “We are now seeing some success in Hong Kong, where we have recently sold one unit that are undertaking high-profile projects,” he says. “Hong Kong will I think be our next most important market after Singapore.